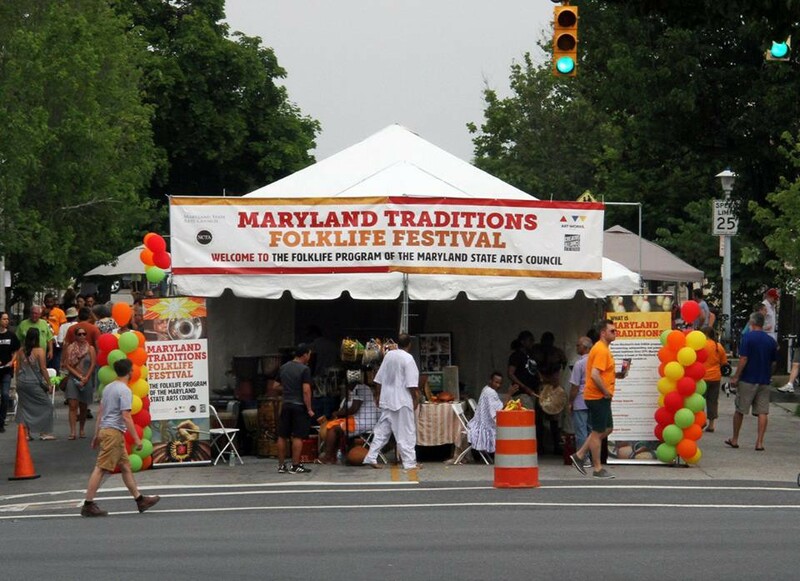 I’ve been an attendee and volunteer at the annual Maryland Traditions Folklife Festival every June for the past three years. 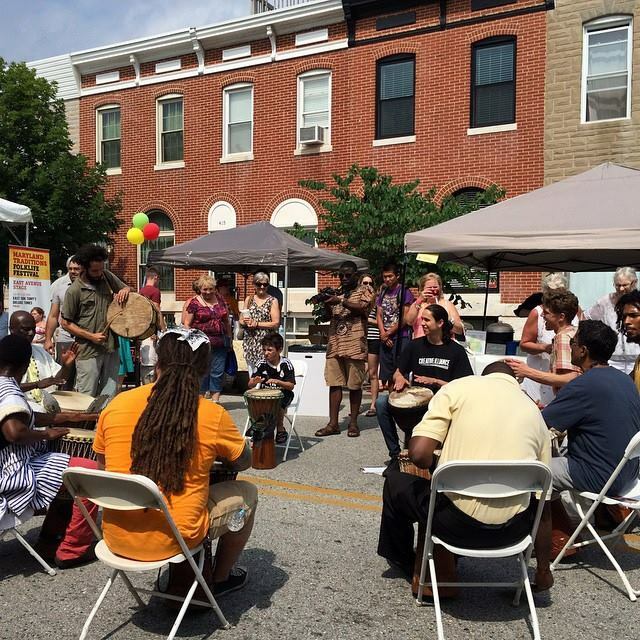 I love this festival, not just because it’s based in my home state and hosted in Baltimore City, but also because there is a compelling vibe when you wander through the strategically mapped crafter tables and music stages. Everything from the food vendors to the overhead festival tents has deep historical and cultural roots in Maryland. The purpose is to celebrate and educate—rather than to simply entertain—attendees about Maryland folklife. I wrote detailed artist biographies for our festival program last year, and I watched how the folklorists and ethnomusicologists in charge meticulously fine-tuned the performance schedule. Then one day I read Charles Camp and Timothy Lloyd’s essay from 1980 entitled “Six Reasons Not to Produce Folklife Festivals,” which put into perspective why the Maryland Traditions Folklife Festival is designed with a foundation of self-evaluation and constructive criticism. After all, Camp was a highly influential mentor to his successive directors at Maryland Traditions and Lloyd is the current director of the American Folklore Society. “Exotic” is one of those buzz words that make people in the anthropological fields cringe. What they mean is that folklife festivals should bridge the gaps in cultural traditions so that onlookers may understand and relate rather than feel isolated while reflecting on their own family traditions (or lack thereof). Anything to avoid that “zoo” mindset, which keeps the festival attendees separated from the participants. So I reminded myself that a lot has changed and improved since 1980. Nevertheless, it is important to evaluate the benefits of applied research on folk communities and even be hypercritical at times. Festivals are one of the key opportunities to educate the local public directly about cultural heritage. As ethnomusicologists, we need to make the most of these events to create a lasting impact on living traditions. Hey, it’s not all bookish though! I had my fill of Smith Island Cake over the years while dancing to Maryland polka bands, cheering during crab picking contests, and watching the Baltimore urban community walk out their doors and fill the festival street in awe. That’s the real reward. On that note, I’ll need to get to DC and catch the Smithsonian Folklife Festival this week before it ends! Camp, Charles & Lloyd, Timothy, “Six Reasons Not to Produce Folklife Festivals.” Kentucky Folklore Record, Vol. 26:1-2 (January-June, 1980), 67-74. This entry was posted in Folk Festivals and tagged ethnomusicology, folk festivals, Students by semstudentunion. Bookmark the permalink.